In Oregon, fall is our season for celebrating all the bounty of Oregon. From the farms and fisheries to field and fromageries, Oregon’s culinary artisans turn out some of the best tastes in the world. Here’s how we celebrate bounty on the Oregon Coast. Out on the Coast you’re just a shovel or trap away from mouth-watering shellfish. Get your start with free and low-cost crabbing and clamming clinics in Garibaldi and Lincoln City. Dress in layers. Boots and gloves are recommended. Cheese lovers will enjoy sampling 10 varieties of cheese at Bandon’s Face Rock Creamery from award-winning cheese maker Brad Sinko. Further north, the Tillamook Cheese Factory offers five varieties of curds to sample, and it’s the only place you can buy their famous cheese curds. What’s for dinner? If you’re on the South Coast the answer is “plenty.” At the Chowder House in Gold Beach, made from scratch is the motto, while the Langlois Market is renowned for their hot dogs. Crazy Norwegians Fish and Chips in Port Orford and Vista Pub in Brookings are two more not-to-be-missed South Coast spots. 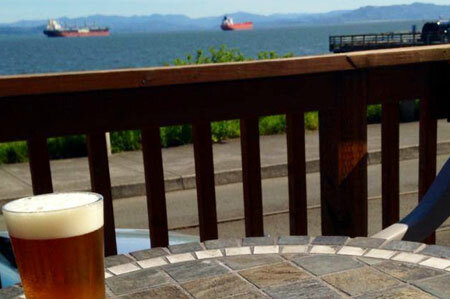 Celebrate craft brew on the North Coast with Fort George Brewery + Public House, Wet Dog Café and Astoria Brewing Company, Seaside Brewing Company and Bill’s Tavern and Brew House, among others. For an option to beer & cheese – the Flashback Malt Shop is an ice cream parlour with 4 of their own bottled soda pops along with over 200 glass bottled soda pops in Seaside @ the downtown Carousel Mall.